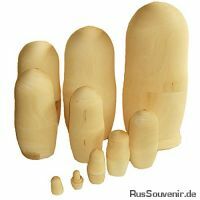 Blank matryoshka in 10 pieces, lime tree. This Product was added to our catalogue on Thursday, 29. March 2007.